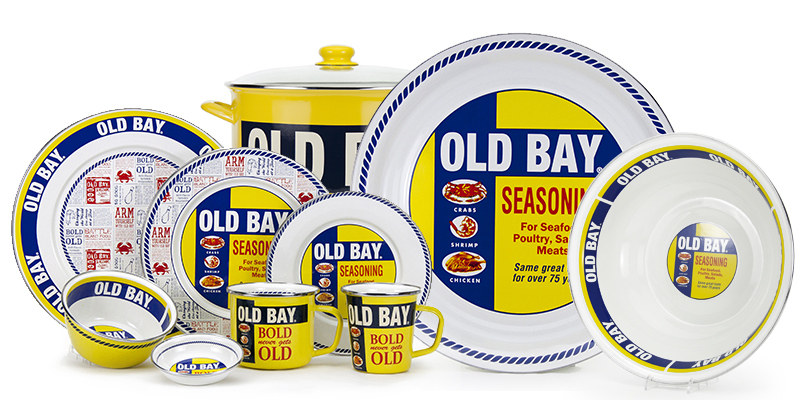 Introducing Our "Old Bay" Tableware Collection. Spice up your galley or dinner table with our distinctive "Old Bay" collection of tableware and cooking accessories. This enamelware is oven- and dishwasher safe. Find the entire collection in our "Entertaining & Galley" category. 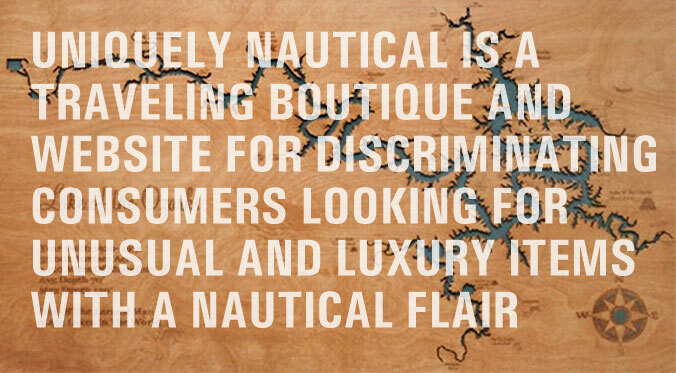 Uniquely Nautical is a curated collection of hard-to-find products with a distinctive nautical theme - many are custom creations. We present our collection thru our traveling marine art gallery & nautical décor boutique, exhibiting at major boat shows, seafood festivals and art fairs, plus, here, on our specialty Web store. We specialize in bringing to you some of the most unusual nautically-themed products you'll find anywhere. We scour the globe for high quality, stylish items that you won't find in your typical yacht chandlery or décor & gift shops. We recognize that our customers have high standards in both sophistication and personal flair. Our product selections - most of which are "Made in America" - reflects those values. We offer a wide selection of sizes, wood finishes and colorations that personalize each piece of chart art to your decorating style. Our Chart Art is a great way to add to your nautical decor and coastal living style. Popular waterways include The Great Lakes, Chesapeake Bay, Long Island Sound, Cape Cod & the Islands (Nantucket & the Vineyard), San Francisco Bay, Vancouver Island, Lake Winnipesaukee, and the Virgin Islands. Currently, we have over 300 bodies of water already cataloged in our art graphics gallery and that number is growing daily! We proudly represent such quality brands as Mariposa, Adam Kaser Glassworks, Chelsea Clocks, Betsy Drake Soft Goods, Offshore Classics Originals and Marine Business. You'll find us at most of the major boat shows, maritime events, and art fairs, especially on the East Coast of the U.S. Here is our current schedule of events where we'll be exhibiting. We invite you to visit our Website often, as we regularly add new art & designer treasures to our offerings. "The (personalized Tampa Bay) chart is over the top and Corey loves it. I can't wait to hang it in our new home...which should be the end of January. Thank you so much, Paul. A very special gift which will be a family treasure. Merry Christmas and blessings for a happy New Year." -- Missy S.
"Captain Paul, I am very impressed by your work. It is an art piece that will be passed on to future generations. I have hung it in a most conspicuous spot for all to see that visit us here at the Lake of the Ozarks in Missouri. My thanks to you and to my beautiful wife, Valerie, who commissioned this work for my Birthday. Thank you both." Please join Sea Tow's"Designated Skipper" campaign.